Has anyone else had to help parents with buying Christmas presents online this year? I’m sure there’s a really close connection to digital inclusion with this. A few years ago my mother wouldn’t have anything to do with computers and was not really that interested in the internet. Then she discovered she could look up information – effectively using the internet like a giant encyclopaedia – she liked that. Then she realised that with my brother living in New York that it would be a good idea to try email. This year, she found a gift she wanted to buy for my dad online for Christmas and asked me to help her buy it. I’m hoping that next year she’ll be able to do it all by herself. People will use technology when they can see there’s a tangible benefit to their using it. Are any libraries or TEL centres offering mini-workshops on buying gifts online? I think this sort of thing would be really popular. What happens for those people who don’t know someone who can show them how to buy things online? Fantastic question, Bryony. Follow up question for you – how do you teach people about reliable online vendors w/o seeming like you work for them? 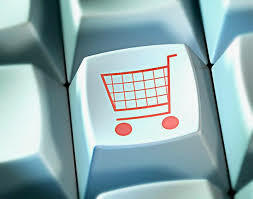 I’m doing a class on buying online at christmas – it’s for U3A members in Carlisle. Brilliant! Do let me know how it goes – did you have a big demand for it or did you just put the course on and waited to see who would come? Very intrigued. Also, have you seen Meaghan’s question above. Would love to know what you think! I’m teaching 4 classes of 4 people – each who have a couple of things in mind which they would like to buy… I go through the process of how I go about researching the lowest cost for the item and then the whole issue of trust, online consumer law and security. Most of those I have already previously taught basic computing skills to and expressed an interest in moving on to looking at e-commerce.